How Do I Convert the CR2 Images from my Canon Camera? One of our website visitors sent us this question by e-mail a few days ago. She had just downloaded the photos she made with her brand new Canon Powershot and was excited to view them on her computer. However, she soon realized this was impossible to do with any of the regular software she had for viewing photos. Why? As you might have guessed, the reason is related to the extension of the image files: CR2. This is the regular format used by Canon cameras to create RAW images. While generally preferred by amateur and professional photographers because they allow them to apply a large variety of computer editing options to the image, RAW files have a few disadvantages. On the one hand, they are not supported by most regular image viewers. To open them, you probably need Adobe Photoshop or a similar graphics editing program, which is not always easy to use. On the other hand, RAW images are usually huge (up to 6 times larger than a JPEG) so they might prove difficult to store and transfer. 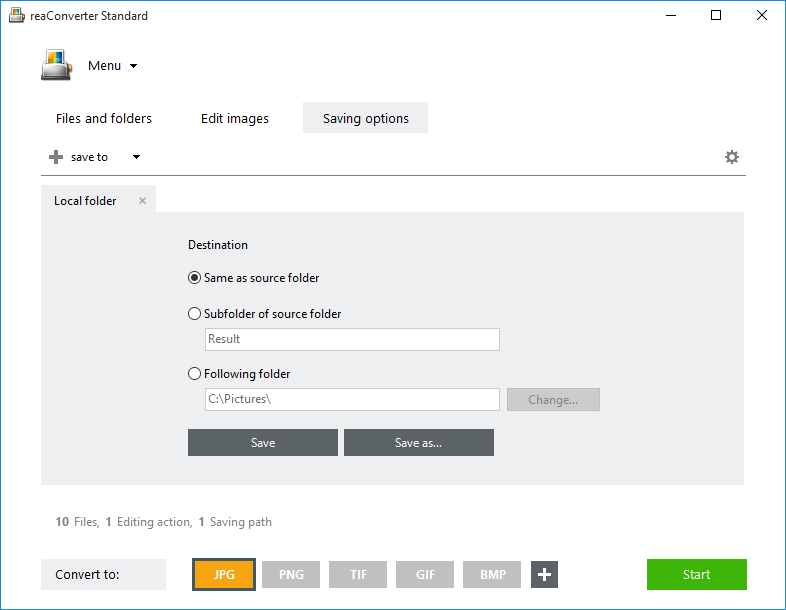 The fastest and simplest way to view and handle your CR2 images is to convert them into a more accessible image format, such as JPEG. And yes, reaConverter will be able to help! All you need to do is download and install the software, which can be tested for free at www.reaconverter.com. 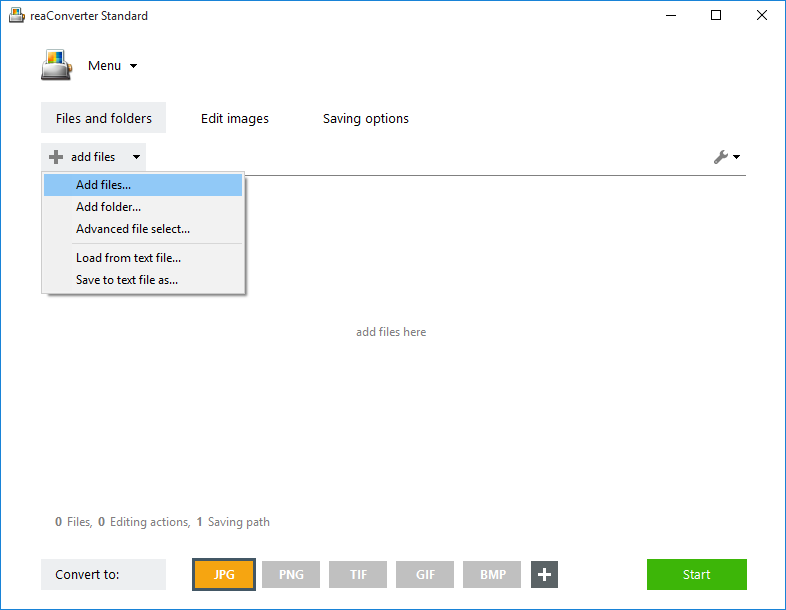 Easily select the file you intend to convert or drag & drop it. In case you have more than one file, reaConverter also allows you to do batch conversion by simply adding all the desired files on the conversion list. Select from the wide-ranging list of image editing options. 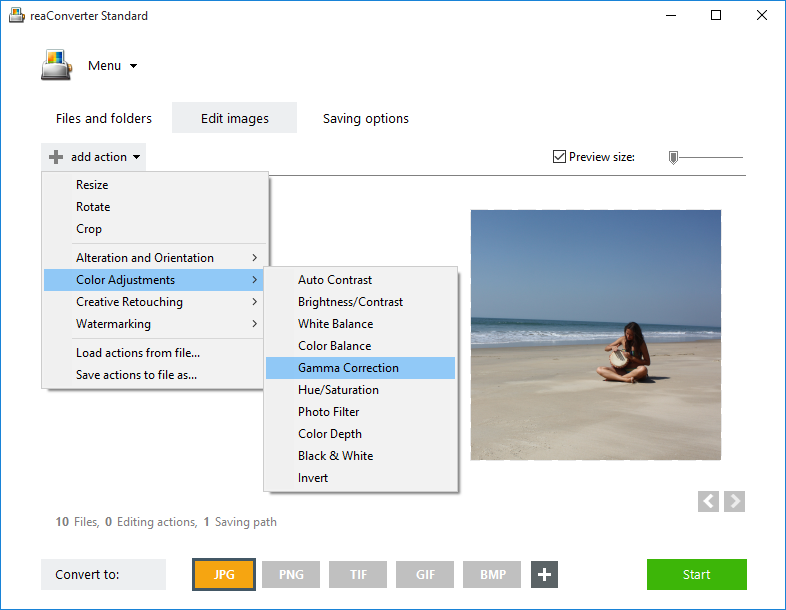 This converter not only allows you to resize, rotate or crop your image, but also to add image effects or adjust brightness and contrast. If you are a professional photographer, you will also like the Watermarking option, which allows you to protect your images from unauthorized use. You can apply text watermarking, by placing the desired letters or numbers on all converted images (date stamps and counter figures are also options), with adjustable opacity level and text parameter. Or image watermarking, by adding an image over your photo, and customizing its transparency level, position and size. Choose the extension of the output file. JPG or other accessible image format will help you handle you CR2 files a lot easier. Then just start the conversion and enjoy your images in no time! ReaConverter is a great solution for efficiently managing a large amount of conversions, on a frequent basis. 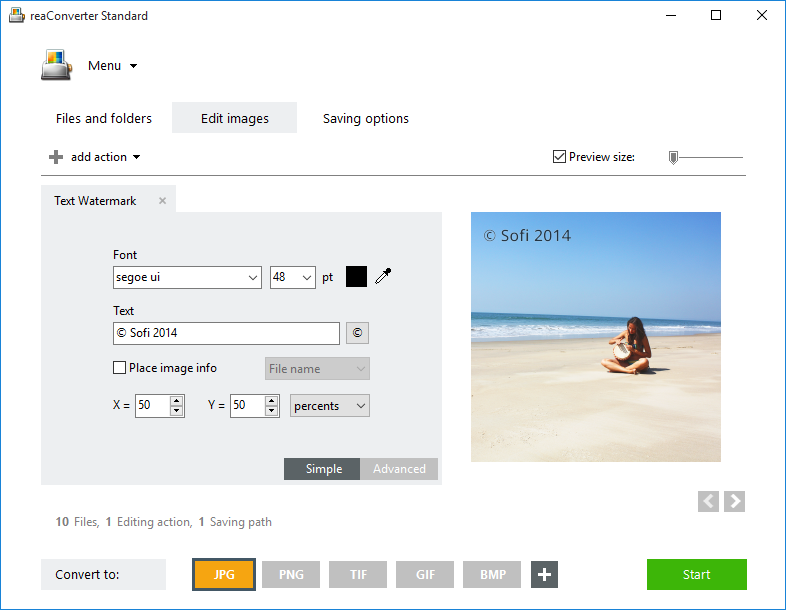 However, if you are planning to convert only a few CR2 photos and only once in a while, then you can also try IMVERTER – free online converter. This entry was posted in Image conversion, RAW formats and tagged canon, converter, cr2, image, jpg, photo, png, tiff on March 11, 2013 by reaconverter.